Communities across Australia are set to share in $22.5 million to improve local infrastructure and provide essential community equipment with applications now open for Round 4 of the Stronger Communities Programme. 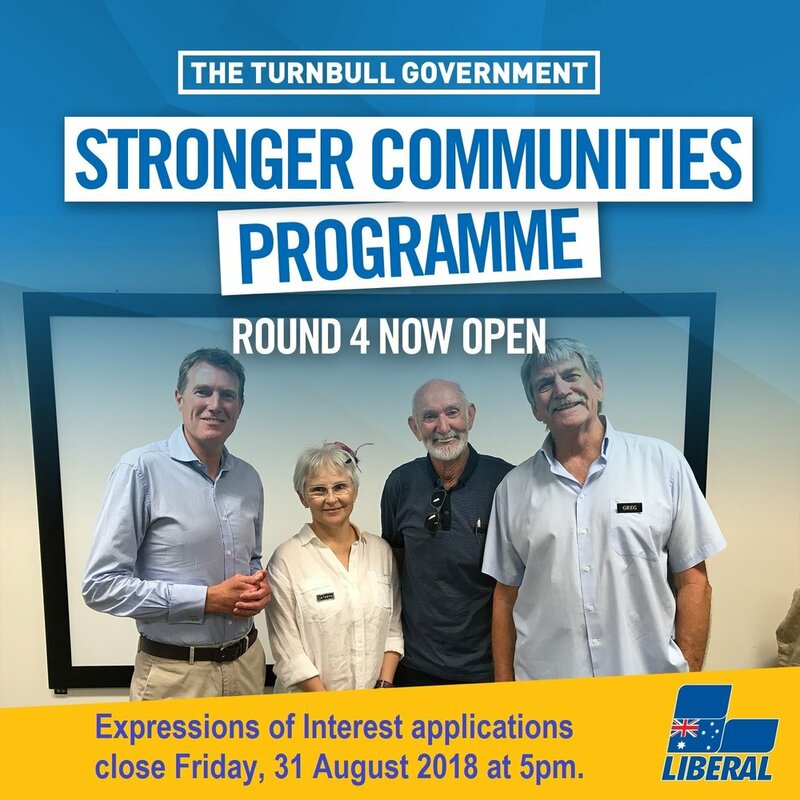 Federal Member for Pearce, Christian Porter, said the Stronger Communities Programme is aimed at funding projects that deliver social benefits and form part of the Liberal Government’s continuing commitment to strengthen communities across Australia. Grants of between $2,500 and $20,000 are now available through Round 4 of the Stronger Communities Programme. “Pearce has been very successful under previous rounds of the Stronger Communities Programme, seeing projects like netball equipment for Quinns Netball Club delivered, car park upgrades at Swan Athletics Sporting Club delivered, upgraded AV and computer equipment for Parkland Villas delivered and display panels and lighting for art exhibitions for Avon Valley Arts Society delivered,” Mr Porter said. “Round 4 is now open and I invite organisations within the community to put forward their attractive, high-quality, projects for assessment. “I will be working closely again with a community consultative committee and we are especially keen on projects that improve community involvement and contribute to creating vibrant and viable communities. “All interested organisations are invited to submit their Expressions of Interest to my office by Friday, 31 August 2018.